The combination of a lack of surprises, a light economic calendar, and thin holiday trading volume kept most markets well within recent trading ranges. However just as the final hour of the trading day is often particularly revealing, the same can be said for the final week of the year. The big lesson was that markets are still moving on nothing but stimulus issues. The two big stories last week were both variations on this theme. While most Western indexes have been modestly higher or flat in the past weeks, the Nikkei has been soaring on anticipation of new easing and money printing. That has predictably boosted stocks and driven the JPY lower, the both moves appear to be overdone in the short term. The coming JPY devaluation story was the big story and market mover this week in the Asian session. The coming new government’s ultra-easy monetary policy is the main driver behind the big moves up for stocks and down for the Yen in the near term. Longer term, there are other reasons to dislike the JPY, and these will get more attention if the JPY’s downtrend continues, which it should over the long term. The main one, as we’ve often noted, Japan is another disaster waiting to happen. Japan’s incoming administration believes that further easing and JPY devaluation can improve its economy. It’s betting that it can control the JPY’s down trend. Let’s hope so, because if not, they risk unleashing the long feared Japan debt crisis. This is a well known story, but here it is again in brief for those who’ve missed it. Japan is the ultimate case of a developed economy being undermined by demographics – an aging population that is slowing real growth combined with a government trying to cover up the problem with more debt. Its debt/GDP is the highest in the developed world (far higher than any of the GIIPS) and even with ultra low bond yields (around 1% for its 10 year note) its debt service expenses are over 26% of its annual budget. Domestic Demand For Bonds Shrinking: In the past, its population of savers bought them for retirement. However that demand is drying up, with one in four Japanese already over 65 and getting older. Consistent Trade Surpluses Have Turned To Deficits: Now, however, Japan is running deficits, so it’s looking less credit worthy. If those 10 year bond rates just go to 2%, then debt service expense will consume over half of Japan’s annual budget. They can print all the Yen they need to pay that, but at some point bond markets start demanding higher yields to compensate for the risk of getting paid in a more debased currency. Higher yields bring more printing, which bring even higher yields, etc. Once that downward spiral starts, we have another debt crisis of a similar magnitude to that of the EU. Again, this story is not new, and shorting Japan bonds has thus far been a losing trade. No one knows when the problem will hit, but no one seems to see how it will be avoided. US Fiscal Cliff And Debt Ceiling: How Much Austerity, If Any? For Western markets, fiscal cliff headlines were the big driver. The fiscal cliff is just another form of the austerity versus growth debate. Markets remain confident that there will be a deal that’s light on any real deficit cutting, but the selling pressure showed up Friday as risk assets sold off to wipe out recent gains. We expect markets to continue to move up with optimistic headlines about a deal and down on the opposite news. The classic fear measure, the VIX index, is rising due to uncertainty about how long it will take Washington to reach a deal that defers most of the scheduled austerity measures. If it can do so within the coming weeks, before these deficit cutting steps drain off too much cash from the economy, then markets should remain in their current ranges. Once a deal is reached its unclear if we’ll get a sell the news pullback or a brief rally. However, as Reuters noted here, there’s yet another US variation on the stimulus versus austerity theme coming. Once again, Washington needs to raise its debt ceiling or cut debt through tax increases or spending cuts. The last time it faced this debate was in the summer of 2011. It missed the deadline, and lost its AAA credit rating from S&P before it ultimately decided to just raise the ceiling and defer the issue until….err, now. Thus far, with both the fiscal cliff and debt ceiling Washington has been consistent in its behavior, so expect more deadlock, and an eventual deal that again comes late enough to undermine confidence, perhaps merit another credit rating cut, and defer any material progress on reducing US debt/GDP levels. Failure to reach a year end deal knocked the bellwether S&P 500 back this week and wiped out the past month’s modest gains, and did some technical damage on the longer term weekly chart, as discussed here. Other risk assets, particularly the EURUSD, still managed to eke out gains. We doubt there will be much upside remains, at least for Western markets, until the fiscal cliff picture clears up. There was some concern last week about MasterCard report that said credit card purchases had grown only 0.7% this holiday season versus last year, the weakest increase since 2008. Others countered that insecure consumers were doing more cash purchases as a means of keeping within their budgets, so holiday spending may turn out to be better. Consumer spending comprises about 70% of US GDP, and the biggest chunk of that spending during this holiday season, so it’s a big deal for both the US and those who sell to its consumers (pretty much the rest of the world). Also, as discussed here, at least in nominal terms, US payroll withholding taxes have been steady, so the US consumer is not in much worse shape in the near term. Longer term, however, US consumer spending, and all that is tied to it, is being undermined as US incomes continue shrinking in real terms. See here for details. In sum, the final week reinforced the themes of the past year. 1. Do You Believe “More Of The Same” Can Continue To Prop Up Risk Assets? The major economies are struggling with modest to negative growth, yet markets are still near decade highs, due mostly to various kinds of government support, such as low rates and yet more debt and money printing. That is the plan until either real growth kicks in or confidence breaks down and credit markets impose higher rates and austerity. Do you believe it can continue to work for another year? We’ll get into that in more depth in our coming article on our 2013 outlook, which is mostly a look at the array of bullish and bearish factors and what will determine which side wins out. If you believe asset prices can continue to be supported by borrowed or printed money (in place of real wealth creation), then expect markets to continue to be flat to modestly higher. That’s a perfectly ok market for short term traders to play the gyrations. This scenario leaves less potential for longer term trend traders or longer term growth investors. Dividend stock investors: Limited appreciation potential at year end prices, and an excellent likelihood of a pullback that would still be just a normal technical correction and yet would more than negate the ~6% from relatively high yielders. That’s ok as long as you don’t anticipate needing to sell for the coming years. Otherwise wait to buy on dips to strong support. The Fed, ECB, and Bank of Japan (among others) are all expected to continue policies that will weaken the value of their currencies and anything linked to them. That may well not happen soon, especially as long as global growth and developed world wages remain stagnant. Indeed when the next EU crisis hits (nothing has been fixed, even Draghi admits he can only buy time for the EU), the USD should get strong. However strength in the USD and other overprinted currencies should be viewed as a chance to diversify out of them into healthier currencies or assets linked to them. It’s time to start planning how you’ll do that. 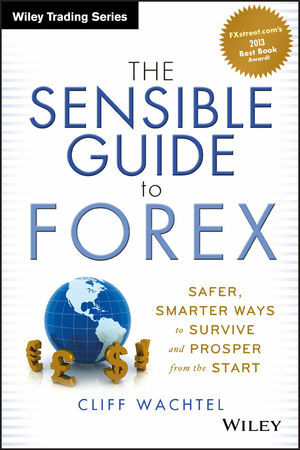 I’ve tried to provide solutions that avoid these problems in my book, The Sensible Guide To Forex (Wiley & Sons, 2012). ← EURUSD WEEKLY OUTLOOK DECEMBER 24-28: WHAT WILL HALT THE UPTREND?